2019 feels overwhelming. My plans include delivering our second child, conducting a cross-continental move, renovating our house, and readjusting to life with a toddler and infant. Our chaplain’s homily today — on the Baptism of the Lord (January 12) — is very timely. He shared that it is not what we do that matters to God, but who we are. The lie that our achievements matter causes a vicious cycle of approval-seeking behavior. Growing up in a culture which emphasizes educational achievement and career/ financial success, I have often felt like a failure. I did graduate with my desired university results and obtained respectable jobs, but I also had a ton of setbacks in-between. I never truly felt, good enough. I allowed my external experiences to define me. I felt better about myself after my student exchange experience, or after I nailed a prestigious government job. In the same vein, I felt worse about myself when I had major setbacks in my career and graduate studies. Our chaplain shared that our relationship with family and friends affect our relationship with God. We do not need to seek God’s approval. God is not displeased with us. He only asks that we stop sinning and turn to him again. 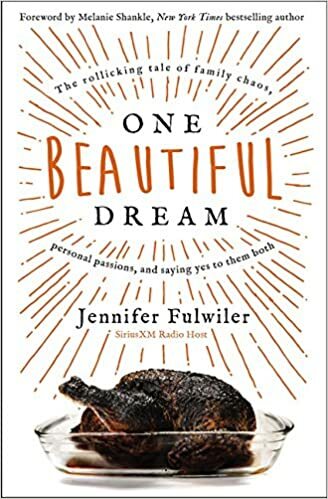 I requested for Jennifer Fulwiler’s, One Beautiful Dream, for my husband’ family’s Christmas gift exchange. In the book, Jennifer was struggling with her sixth and hardest pregnancy, alongside looming deadlines for her manuscript for a renowned publisher. Today’s homily and this book remind me to live an authentic, meaningful, Christian life; seeking to build God’s kingdom above all. Seek first the kingdom of God and his righteousness, and all these things will be given to you.